In 1971 the first national postal strike took place in the UK. In those days the Post Office had an absolute monopoly on the delivery of mail. In response to the strike the government suspended this monopoly allowing private postal services to set up in business. 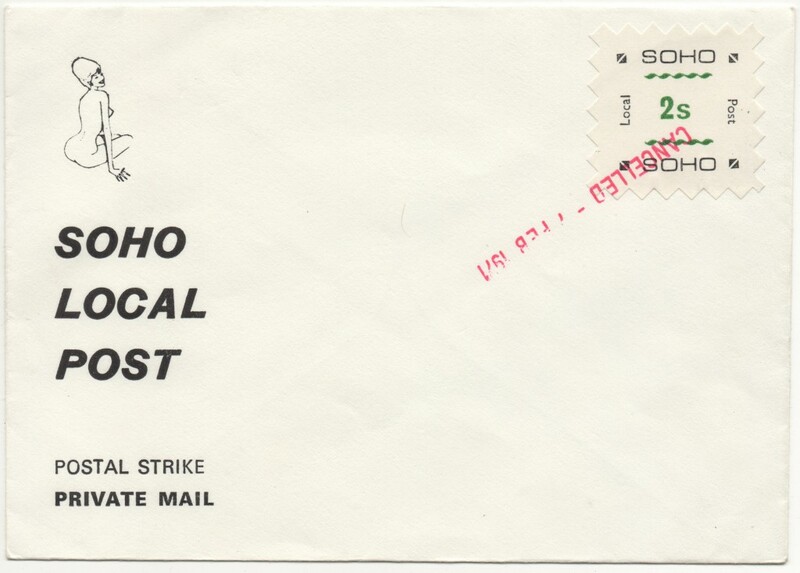 The strike began on January 20th and by the 6th of February the Soho Local Post had been born. Within a few days this 2 shilling stamp was already obsolete. The country went decimal on February 15th, it was goodbye to the old system of pounds, shillings and pence. New stamps were needed and Soho Local Post responded with three denominations in the brand new decimal pennies. 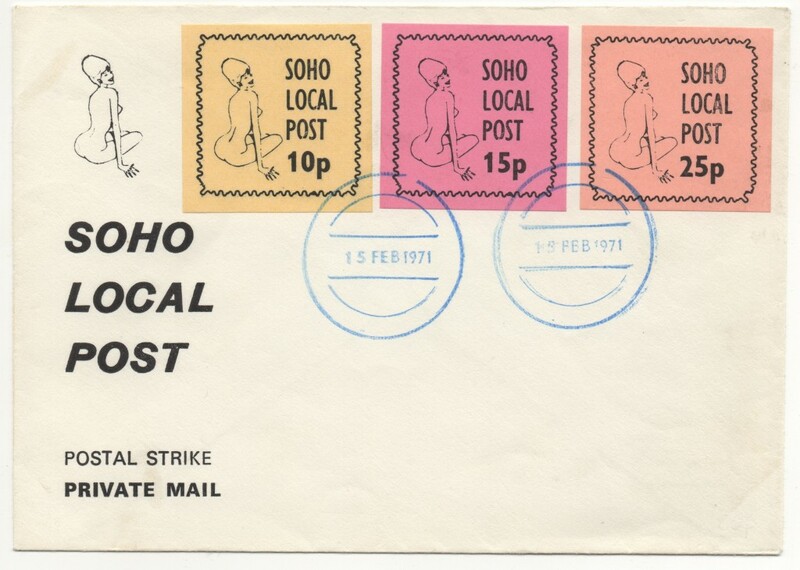 The strike continued until the 7th of March at which point Soho Local Post and other operators were wound up. It was a condition of their licences that they would cease trading as soon as the strike ended. The Soho Local Post's naked woman was obsolete, her Madge regained her place on all letters posted from Charing Cross Road to Regent Street and from Oxford Street to Leicester Square. I don't know who was behind Soho Local Post and whether it made many deliveries or was set up mainly for philatelic interest. If you have any information please share in the comments below. Other London operators seem better documented, for example N.W. London Postal Services who operated out of Willesden Green during the strike, you can read more about them and other private operators here.